Mini KidTown and I journeyed to The (excellent) Hungry Peacock Cafe in Tyabb at the weekend to craft a Dinosaur Garden with Blossom Kids. 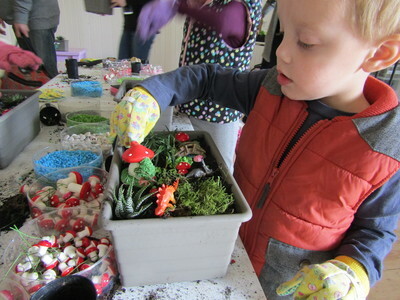 If you've not heard of such things before, think of Dinosaur Gardens as small little miniature garden tubs, decorated with real plants, colourful rocks, mushrooms and of course, wee little toy dinosaurs. Cute with a capital C! Blossom Kids offer pop-up Dinosaur & Fairy Gardens workshops to children in venues around Melbourne South East and the Mornington Peninsula. The Hungry Peacock Cafe just happened to the venue of choice, last weekend. Mini KidTown got excited when I told him about the project ahead. 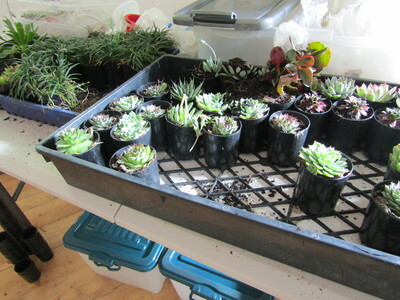 When we arrived we were given a tub with soil, succulents to plant and dinosaurs, of course. On the 'craft' table kids could choose to decorate with a variety of mushrooms and colourful stones. I wondered if Mini KidTown would get muddy, but he didn't. All kids were given gloves to wear (if they wanted to) although the activity itself was not particularly messy. We were done within half an hour, which might not seem very long, but this length of time certainly pleased Mini KidTown, who was oh-so-proud of his little take-home creation. 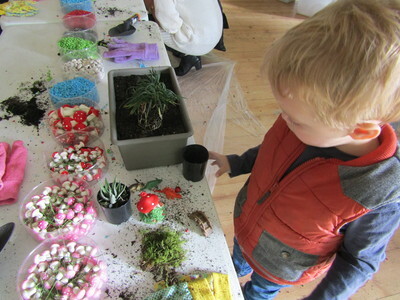 Would you like to participate in a Dinosaur and Fairy Garden workshop with Blossom Kids? Great, read on. 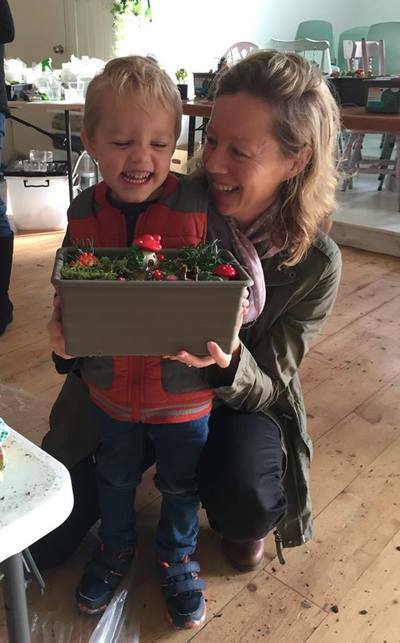 These little garden classes are just one branch of Blossom Kids, however, due to their popularity, things have picked up on the workshop front lately. 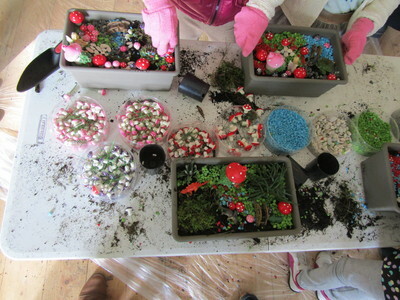 "We started running the workshops in January following interest from many parents in our fairy gardens we make to order. We have run the workshops at our pop up shop that was in Mordialloc over Dec/Jan, markets, shopping centres and cafes." says Steph, who co-runs Blossom Kids. "We will also be starting children's parties, to be released in June. 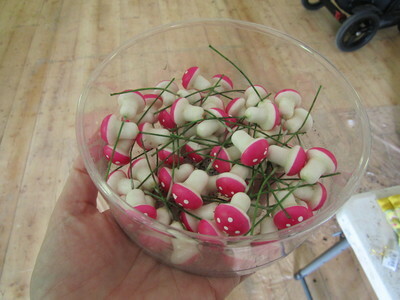 These will involve making fairy and dinosaur gardens, fairy houses, flower crowns etc depending on the package. The launch of our parties will celebrate our business turning One." Steph tells us. Future Dinosaur & Fairy Garden Workshop dates will be announced soon. Keep an eye on the Blossom Kids Facebook Page for future dates.